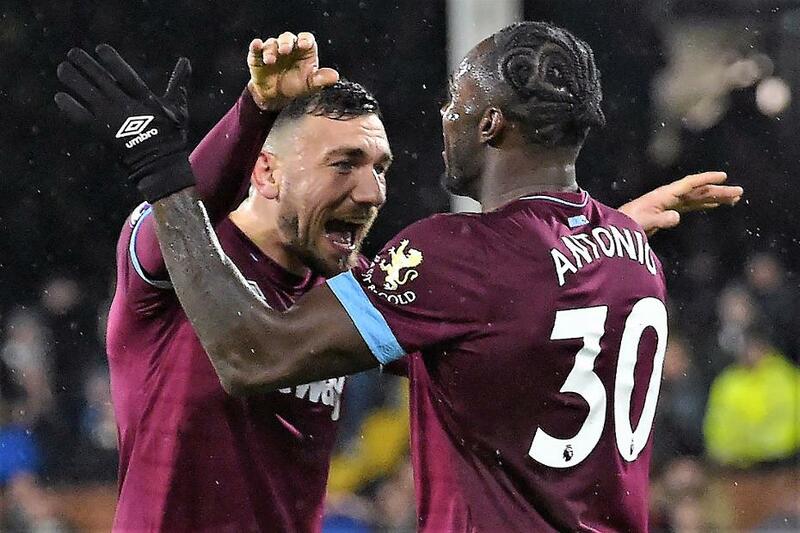 Two first-half goals earned West Ham United a fourth win in a row, beating Fulham 2-0 at Craven Cottage. Shortly after Lukasz Fabianski had denied Fulham's Aboubakar Kamara when through on goal, Robert Snodgrass put West Ham ahead on 17 minutes. The Scot curled Felipe Anderson's cutback first-time beyond Sergio Rico for his second goal in as many matches. Twelve minutes later, Chicharito flicked on for an unmarked Michail Antonio to double the lead from close range. In a second half of few chances, Anderson came closest to scoring when his shot was saved by Rico. The win lifts West Ham to ninth with 24 points. Fulham remain bottom on nine.